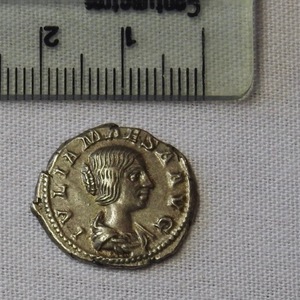 Julia Maesa (159 - 224) was the younger sister of Julia Domna, and the grandmother of Elagabalus. Maesa had a lot of political influence, and a “thirst for power” and “cold determination” like her sister. She influenced Elagabalus, and advised him in political matters. She continued to govern after he died. 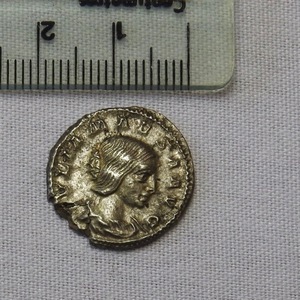 The coins she is depicted on were struck by her son and grandson, which is unusual, because most women on Roman coins are wives of emperors.